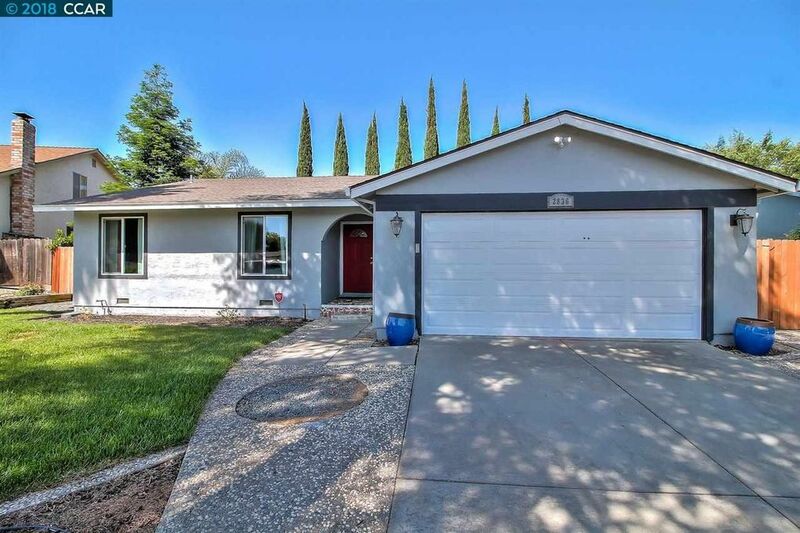 This single-level ranch-style home is updated throughout. It has a newer A/C, furnace, dual pane windows, water heater, garage door, recessed LED lighting, paint, sub-panel, main electrical wire and breakers. The spacious kitchen has granite counters and an island plus plenty of cabinets for added storage. There are modern bathrooms with tile walls and stone counter top vanities. The home offers combination tile, carpet and laminate flooring. There is a fireplace in living room for cozy winters. The landscaping timers, drip system, sprinklers, fences and gates were recently replaced. The over 7,300 square foot lot offers an extended driveway with room for RV parking. Enjoy the new wood deck. All appliances are included.